Several weeks after announcing their intention to celebrate the life of Michael Jackson with an all-star concert called "Michael Jackson Forever," the initial lineup for the October 8 show at the Millennium Stadium in Cardiff, Wales, was revealed last week. 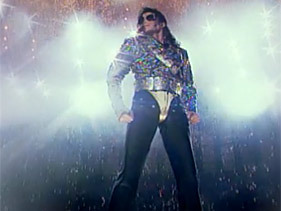 According to promoters, the Michael Forever show is slated to feature such stars as Christina Aguilera, Cee Lo Green and Motown legend Smokey Robinson, in addition to less globally popular talents, including Alexandra Burke, Pixie Lott, Leona Lewis, JLS, Craig David, Alien Ant Farm and a pair of Jackson-related groups, 3T and the Jackson Brothers. The one thing the event does not have, however, is the approval of Jackson's powerful estate, which had kept silent about the show put together by parents Joseph and Katherine Jackson, along with siblings Jackie, Tito, Marlon, LaToya and Rebbie. Brothers Jermaine and Randy have not been involved in the plans and have publicly objected to the event because it falls in the middle of the involuntary manslaughter trial of Jackson's doctor, Conrad Murray. On Tuesday (August 16) a spokesperson for the estate — which has handled all of Jackson's affairs since his 2009 death — confirmed that estate lawyer Howard Weitzman sent a letter to concert organizers last week raising some pointed questions about the show. "I represent the Executors of the Estate of Michael Jackson. As the legal caretakers of Michael's intellectual property, we believe it is our duty to contact you directly regarding the growing number of questions that have been addressed to the Estate, as well as multiple concerns that have emerged in recent days," reads the letter.